Looking for a challenge? St. Simons Island and its surrounding waters — including Jekyll Island and Cumberland Island — offer plenty of excitement for fishermen looking for deep sea and offshore angling. Easily accessed by boat, there are thousands of fishing spots just waiting for you to cast your reel, including buoys, bars and natural and man-made holes and reefs. For those fishermen who like to troll with live bait, you might get a strike from grouper, king mackerel, Spanish mackerel, snapper, cobia, amberjack and more — particularly if youâ€™re around from May to September. 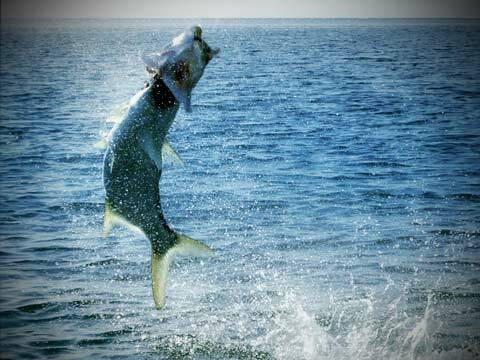 Just a few miles from shore sports fishermen will find shark and tarpon, mostly from mid-summer through September. Georgiaâ€™s Golden Isles offer an immense coastal ecosystem of lazy rivers, teeming tidal beds, untouched salt marshes, and easy access to the Atlantic Ocean, all which are clean, healthy and brimming with a wide variety of fish. Youâ€™ll need a fishing license, and there are limits to the numbers of some kinds of fish you can catch in a day. Our advice is to hook up with one of St. Simonâ€™s Islandâ€™s many professional and knowledgeable charter captains, many of whom have grown up around the islands. These expert anglers know the waters around Georgiaâ€™s Golden Isles like the back of their hand, and their expertise will not only increase the success of your fishing trip, but also your enjoyment. Most charters provide all the gear, bait and tackle you’ll need, so no need to worry about bringing your own. But why just visit? There is plenty of St. Simons Island real estate for sale for those who are interested. But hurry — the other anglers might get there before you! Want to know more? Contact us — we’re happy to tell you all about the great fishing around St. Simons Island, and even recommend a few charter captains.